Parisilk started out as Paris Silk Store in 1952 at No. 22 Transit Road, located along Sembawang Road, Nee Soon. This was located directly across the present row of shops there. Then, it was a sole proprietorship owned and operated by our late father/grandfather, Mr Gulabrai Primalani. It started out selling textiles, mainly silk, hence its name. This was shortly after the end of the World War II. Mr Gulabrai was newly married and had decided to bring his wife to Singapore, from India, in search of a new and better life. During that period, there were many British soldiers based in Singapore, with Singapore being a British colony. The majority of them lived in the northern part of Singapore, around Sembawang, which is a short drive from Nee Soon. Nee Soon in its heyday was lined on both sides of the street with bars, nightclubs and rows of shops selling everything under the sun. 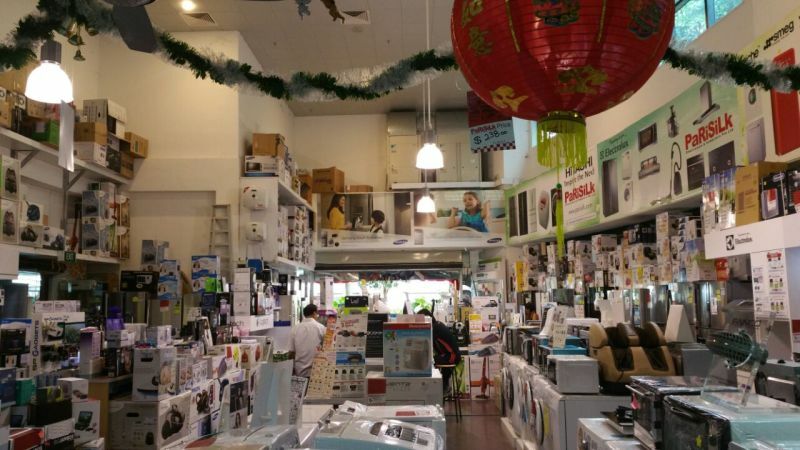 These shops ran all the way from Mandai Road to the present Sembawang Shopping Centre. This, and the setting up of the Sembawang Shipyard, led to the opening of Paris Silk Store there. After Singapore gained independence in 1965, many of the British soldiers were slowly transferred out of Singapore until there was only a handful left. However, the place still remained very lively with the many British, Australian and New Zealand naval ships which used to call at Sembawang Shipyard frequently. Mr Gulabrai Primalani had six children, four sons and two daughters. In 1973, he handed the business over to three of his sons, Andrew (Chandru), Larry (Kumar) and Kevin (Prem). His fourth son, Kishin, ventured off to set up his own business. The new blood in the business brought with them many fresh and enterprising ideas. The brothers were not satisfied with the progress of the business and with the path the textile trade was taking it. In 1974, the three brothers realized that the textile business had little potential for expansion and envisioned greener pastures ahead if they were to convert to selling consumer electronics instead. 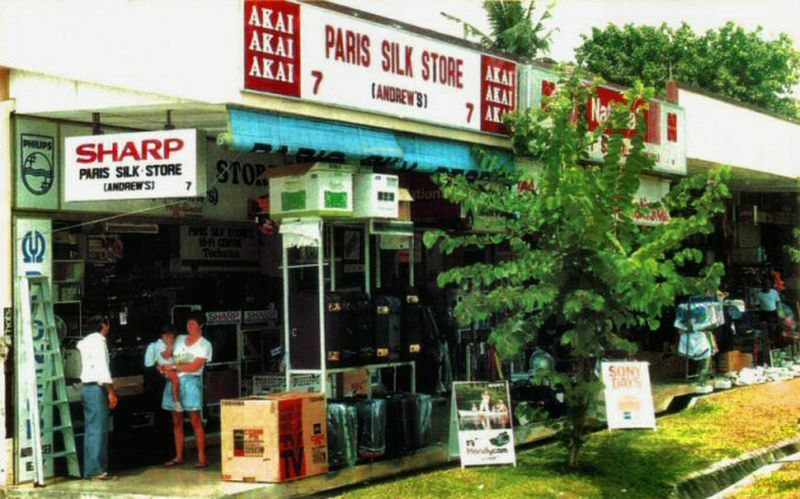 Thus, in 1974, Paris Silk Store made the switch to selling electronic goods. The name, however, was not changed as it had been long established and was widely known. The brothers thus saw more good than harm in keeping it. Unfortunately, there were several fires along Transit Road in the mid-1980s. These fires burned down the majority of the shops on each side of Transit Road. The fires wiped out many businesses and most never recovered well enough to relive their former glory. 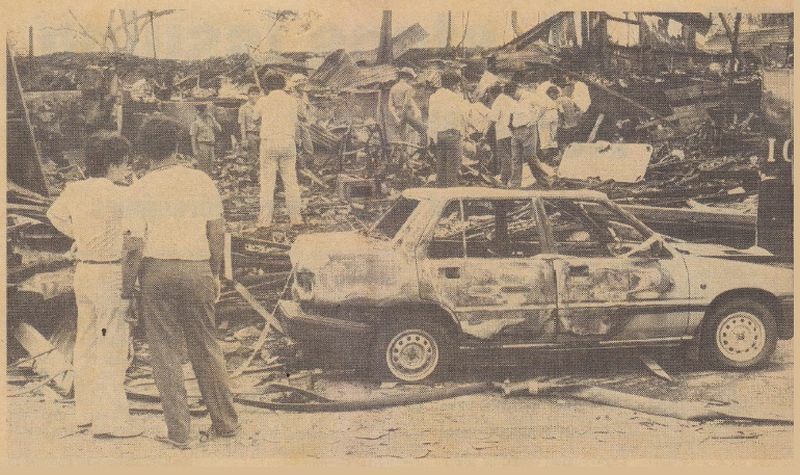 The fires led to the construction of the present row of shops along Transit Road. We thus moved across the street in 1986 to occupy the first shop along that row, No. 7 Transit Road. In July 1986, Mr Gulabrai Primalani passed away after a long battle with diabetes. He left behind the legacy of Paris Silk Store for his sons and daughter (Sue) to further build on. 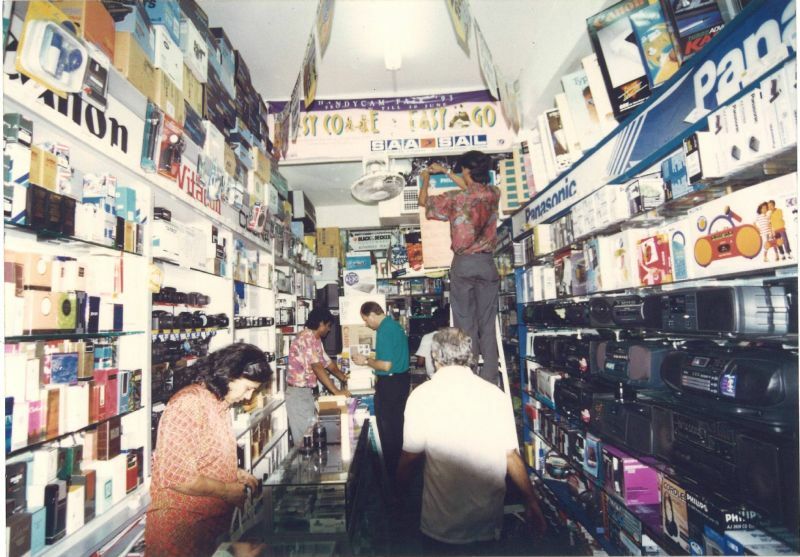 In 1988, the second retail outlet was set up at No. 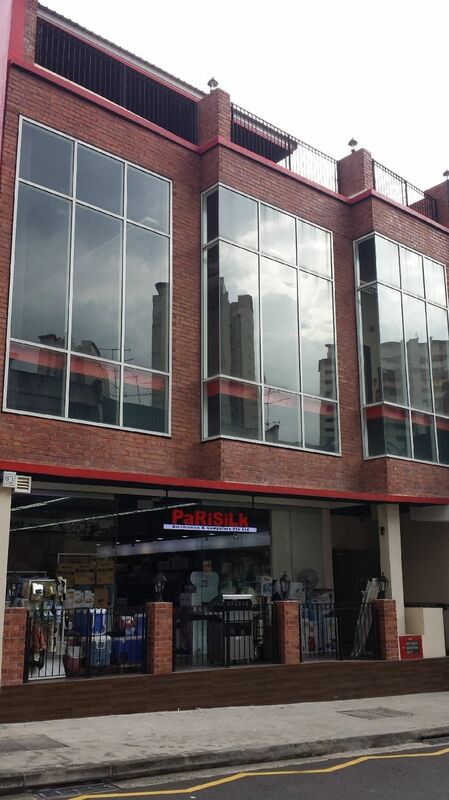 11 Lorong Liput, in Holland Village, under the name Paris Silk Brothers. This was with the aim of tapping into Singapore’s rapidly growing expatriate population, many of whom reside in that vicinity. 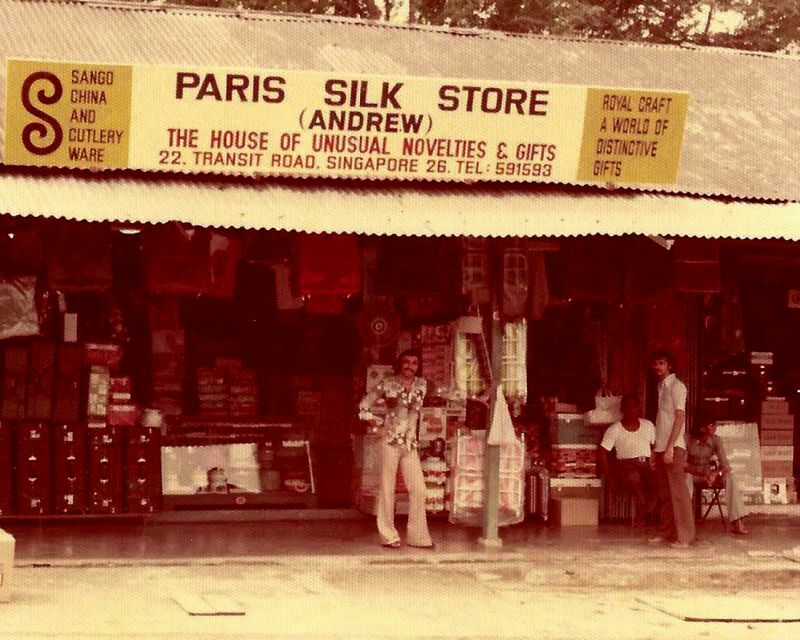 In 1991, Paris Silk Brothers moved to its present location at 15A Lorong Liput. We initially operated half a shop at 15A Lorong Liput, with the other half operated as a sporting goods store by Stella International. A few years later, we took over the entire shop space. In 1994, an Export and Mail Order Division was set up to deal with the many customers who had first visited us as tourists or expatriates to Singapore and who wished to make repeat purchases with us from overseas. A Corporate Sales Division was also set up to concentrate solely in giving our corporate buyers more attention and better service. These two divisions went by the name of Paris Electromart. This helped us build another niche in which we are now very strong in; in sales to organizations for corporate events and redemption programs. In 1996, Computer Division was set up. 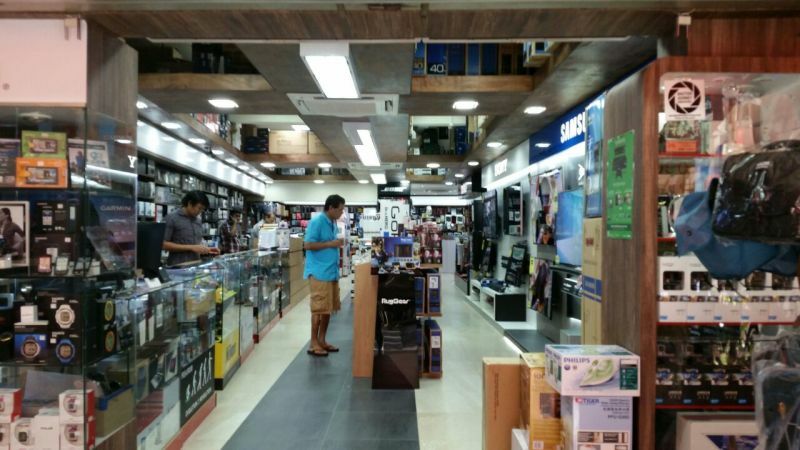 With the emergence of the Internet and the Government’s vision to make Singapore into an Information Technology hub, the market for the retail of computers and related peripherals was growing rapidly. We decided to make an attempt for a slice of that pie and sought to tap into the retail IT market. In end 1997, another chapter in the legacy of Paris Silk was opened. Paris Silk Store, Paris Silk Brothers and Paris Electromart were merged to form Parisilk Electronics & Computers. This was to allow our clients to better identify us with the line of trade that we are in, while at the same time keeping with the name we all knew and loved. In May 1999, we took another big step in Parisilk’s restructuring process. The company was incorporated and converted from a partnership to a Private Limited Company. 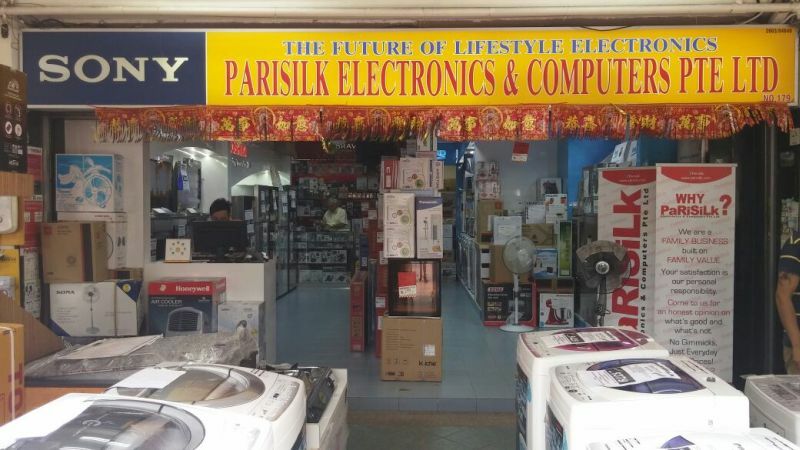 Parisilk Electronics & Computers thus became Parisilk Electronics & Computers Pte Ltd. In response to feedback from our growing customer base in the East, in August 2003, we opened our third retail outlet in Bedok Central. This outlet also aims to serve the large number of organizations currently based in the East, and which are shifting their operations to the East, especially with the construction of the Changi Business Park. In late 2004, the first of the next generation joined Parisilk after completing his studies. Being fresh out of the SMU School of Business, Michael (Andrew’s elder son) came in with many ideas to take the company to the next level. He embarked on a rebranding exercise and begun freshening up the customer experience when visiting our stores. He also took on the roles of Head of Corporate Sales and Head of Business Development. In 2006, to give customers a better experience when shopping for Home and Kitchen Appliances, we opened a second outlet in Holland Village. This allowed us to improve our display of bulky white goods. 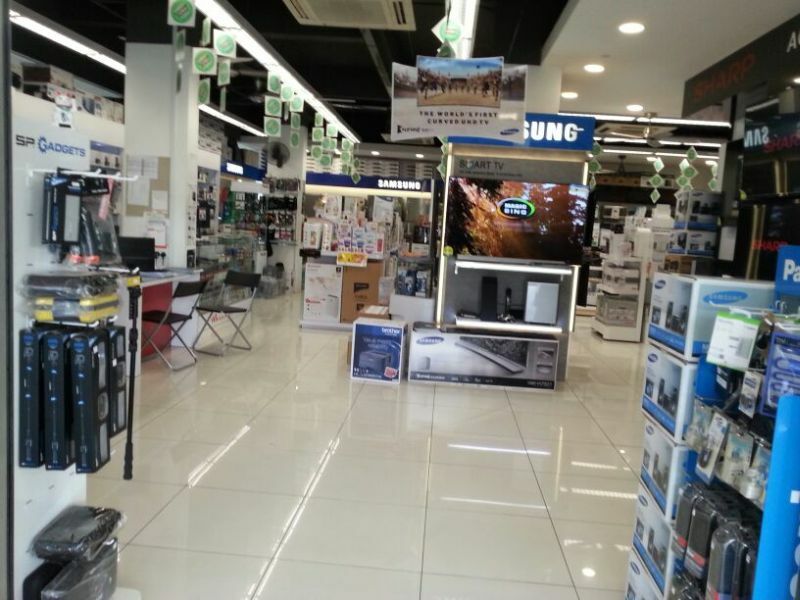 Being 2 doors away from our original branch in that location, 17B Lorong Liput focused on all Home Appliances, thus also giving us more room to expand our range of AV, IT & Cameras at 15A Lorong Liput. Once again, in response to feedback from our growing customer base in the Tanjong Katong/Tanjong Rhu area, we opened an outlet in Katong Village in mid-2009. At 6,000 square feet, we had the luxury of space to display a full range of products across all categories. In 2012, Katong Village was put up for redevelopment and we moved 250m down the road to our present location at EastGate, 46 East Coast Road. Also in 2012, 2 more members of the next generation joined Parisilk. Ricky (Andrew’s younger son) joined in early 2012 while Navin (Larry’s younger son) joined in mid 2012. Together, the 3 boys of the next generation sat down to come up with a blueprint to take the business to the next level. Michael maintained his roles of Head of Corporate Sales and Head of Business Development. Ricky, fresh with a degree in Mass Communications, took on the roles of Head of Marketing & Communications and Head of Events. He handles all our advertising and promotions and organizes our Roadshows and Warehouse Sales. Navin, fresh out of Business School, took on the role of Head of Online Sales. He handles all our online sales via www.parisilk.com and third party sites. 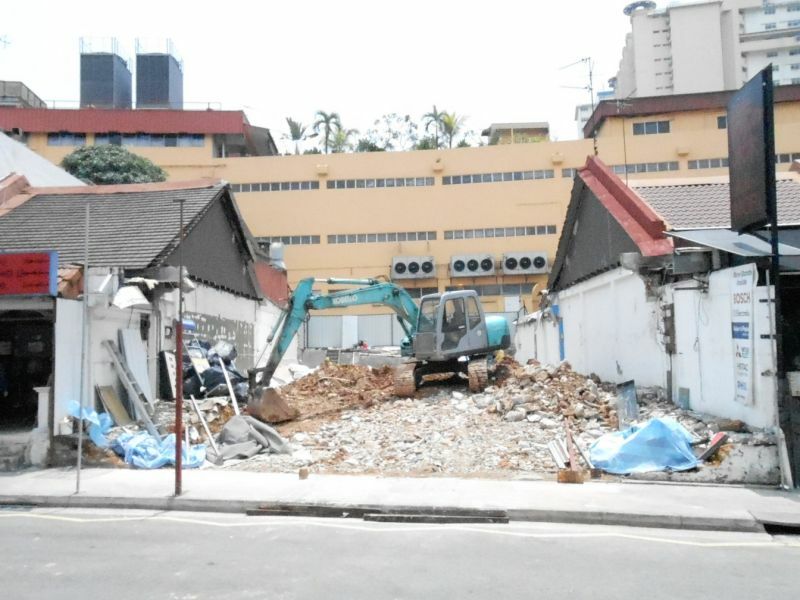 In end 2012, we moved 17B Lorong Liput across the road temporarily to 27A Lorong Liput. This was so we could redevelop 17B and 17C Lorong Liput (which we had acquired) into a new 4-storey building. After 61 years, in July 2013, we had to move out of our original home with much sadness. This was once again due to redevelopment plans. Fortunately, we found a wonderful piece of property just across the road at 58 Sembawang Road, less than 200m away from 7 Transit Road. This is a much bigger and brighter space, once again providing a better shopping experience. In end 2013, we completed our construction project in Holland Village. We have now more than quadrupled our display space there. The latest step in our expansion is launch of the new Parisilk Online Store in early 2015. With the convenience of online shopping and the improvement in online security, we are proud to bring our products and services to a wider range of people, 24 hours a day, 7 days a week! 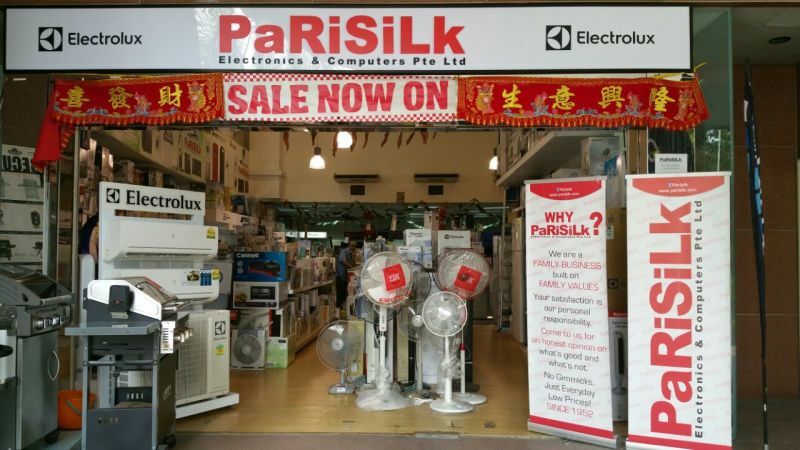 Whether it’s visiting one of our stores for personalized face-to-face interaction with one of our specialists, popping by a weekend-only roadshow near you, buying something from our online store, or placing an order for your company event, Parisilk promises to give you the best deals, coupled with the best service possible. After over 60 years in business, Parisilk has created a tradition of providing its customers with the best personalized service possible coupled with the most competitive prices available in town. All products are guaranteed original; all of which come complete with product warranties from the respective agents, unless otherwise requested by our customers. We leave you with only one thought. The only way we can prove ourselves to you is if you give us a try. So give us a call, send us a fax, drop us an e-mail or pay us a visit with your enquiry. Find out the reason why our clients keep coming back to us. We offer you all the best for less, under one roof!